Following a leak earlier this year, Geely has officially launched the Bin Yue in China. 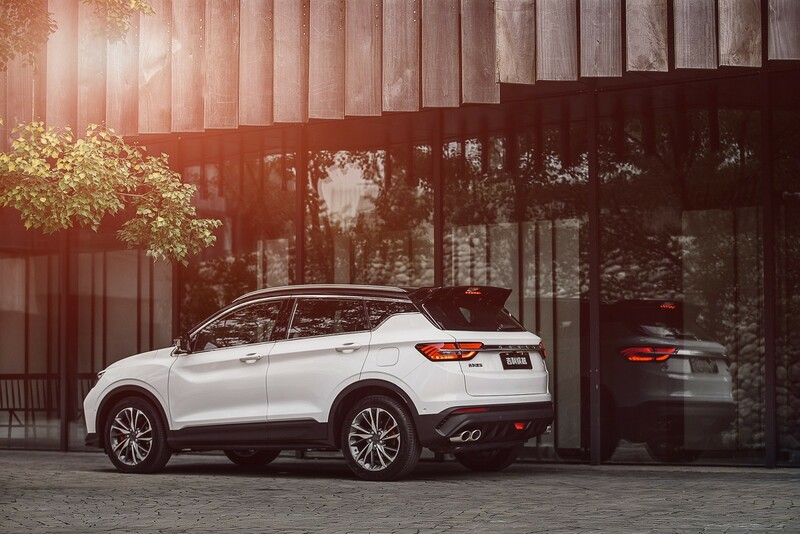 Set to become the company’s first compact crossover to ride on the new BMA architecture, the Bin Yue is a stylish looking model which has a prominent “cosmos” grille that is flanked by angular headlights. Further below, we can see sporty air intakes and silver accents. The sides of the crossover feature plastic body cladding, strong character lines and a relatively compact greenhouse. The model also has a ‘floating’ roof which tapers down to meet a large tailgate-mounted spoiler. Overall, the Bin Yue measures 170.4 inches (4330mm) long, 74 inches (1800mm) wide and 63.3 inches (1609mm) tall with a wheelbase that spans 102.3 inches (2600mm). This means the crossover is a tad smaller than the BMW X1, but slightly wider. We’re not buying that, but the cabin looks pretty good as it features a stylish design and premium materials. Highlights include a digital instrument cluster and a 10.25-inch infotainment system with an 8:3 aspect ratio. 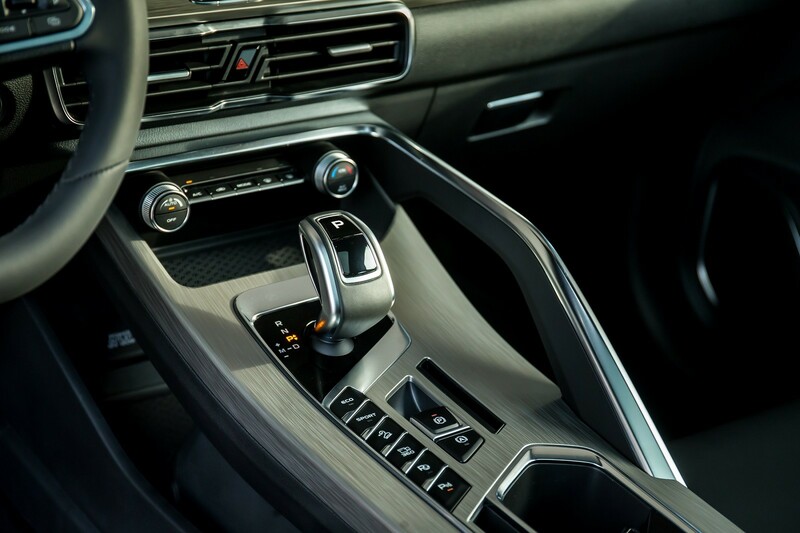 Drivers will also find a leather-wrapped steering wheel, matte metal trim and chrome accents. Other niceties include voice recognition technology, 4G/Wi-Fi connectivity and over-the-air updates. Under the hood, two different engines will be available. The first was jointly developed with Volvo and it’s a turbocharged 1.5-liter that produces 174 hp (130 kW / 176 PS) and 188 lb-ft (255 Nm) of torque. It is connected to a seven-speed dual-clutch transmission which enables the crossover to accelerate from 0-62 mph (0-100 km/h) in 7.9 seconds. In terms of fuel efficiency, drivers can expect to average 38.5 mpg US (46.3 mpg UK / 6.1L/100km). Customers will also be able to order a turbocharged 1.0-liter engine producing 134 hp (100 kW / 136 PS) and 151 lb-ft (205 Nm) of torque. 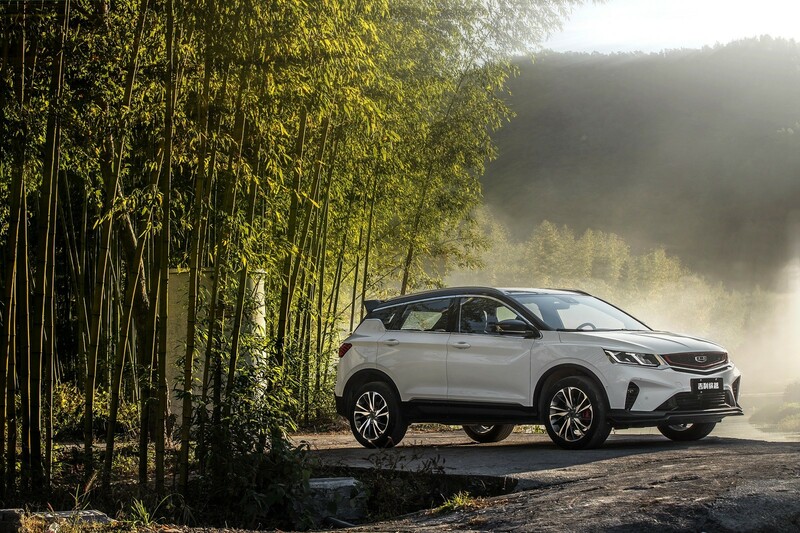 It is paired to a six-speed manual transmission which enables the Bin Yue to return 44.3 mpg US (53.3 mpg UK / 5.3L/100km). 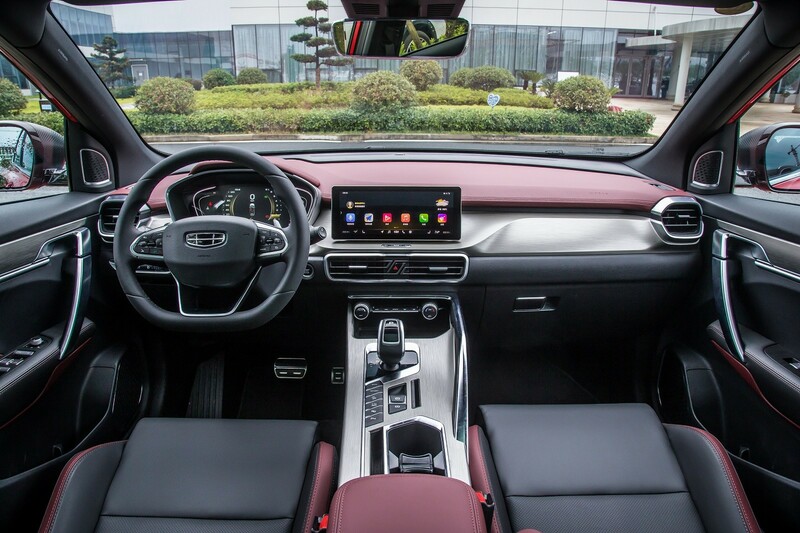 On the safety front, the Bin Yue features a Level 2 semi-autonomous driving system which uses millimeter wave radar and high-definition cameras. Thanks to this technology, the crossover can follow vehicles at speeds up to 93 mph (150 km/h) and automatically change lanes. Other highlights include an automatic parking system, automatic emergency braking with pedestrian recognition and a blind spot warning system. Melihat Geely yang membeli saham Proton Malaysia dan menjadikan Malaysia sebagai pusat produksi Geely untuk kemudi setir kanan, menjadi menarik apakah Geely/Proton Bin Yue ini memiliki peluang yang besar untuk bersaing di pasar Indonesia khususnya di pasar compact crossover. Setidaknya menjadi lebih besar dibanding sesama Pabrikan Tiongkok dulu yang sudah eksis seperti Wuling dan DFSK. Kalau menurut sy ini ganteng dan keren. Mesin kuat. tinggal nanti image mobcin gimana ? Mesin 1.5 turbo 174 hp? Pake nama Geely apa Proton om? giliran ditodong suruh beli, alesannya nunggu long term review dulu..
Keren juga, ngikutin pewarnaan Pug 3008, Proton atau Geely masih ada di Indo DM kah? lihat dl deh kakaknya si bo yue gmn respon nya d malay sini. kl smpt ane sempetin deh short review kl dah ada unit nya. Pk merk geely lah pls jgn proton. Mumpung wuling ckp bagus. Geely mk sedan yang sempet jadi taksi aja (kalo gak salah taksi kota kembang di bandung yang dulu banyak pake) sekarang nyaris gak ada keberadaannya di jalan. Yang hatchback juga gitu. .....merk aside, desainnya sekarang bagus sekali. Semoga kualitasnya juga. Kalo dipasang dengan harga 250-350 jt tampak nya menarik. 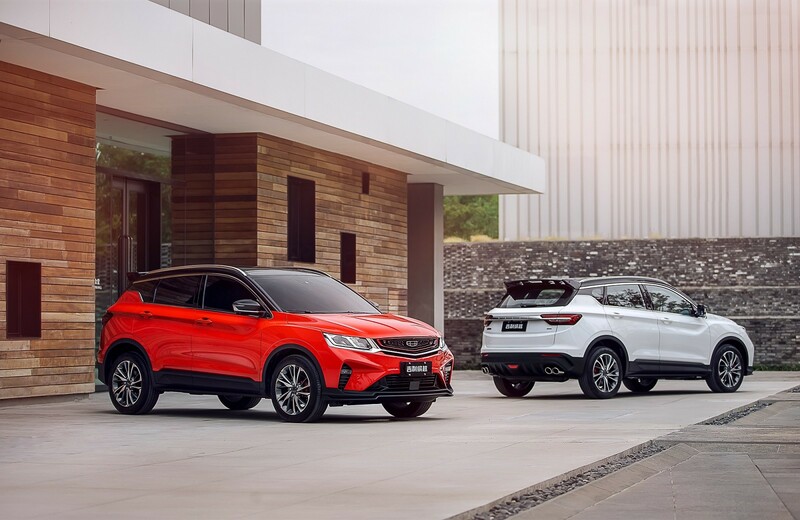 Kira2 siapa yg unggul antara Bin Yue , DFSK Glory dan Wuling SUV nanti tahun depan. Menarik juga apakah bisa melawan Toyota Rush, Terios, serta BRV dan HRV. Kalo standar Euro 4 udah mulai benar2 diberlakukan dan mesin2 mobil modern termasuk mobil kecil sudah banyak pake turbo, mungkin PertaBo sudah akan menjadi standar Om ke depan nya.